USE : It is use to determine Moisture% in Green sand for Foundries. SPECIFICATIONS : Digital Moisture Tester is electro-pneumatically operated equipment for foundry green sands. Easy operation, User friendly and time saving. First place the Specimen Tube in Pedestal cup. Fill the sand sample in specimen tube with help of Tube Filler Accessory till overflow. Remove the excess sand by scrapper. Place the specimen tube with pedestal cup under the plunger. Press the start button of control unit. Plunger sensor moves downward and squeeze the sand. Wait for few second. Final reading of Moisture% will get on LCD display. 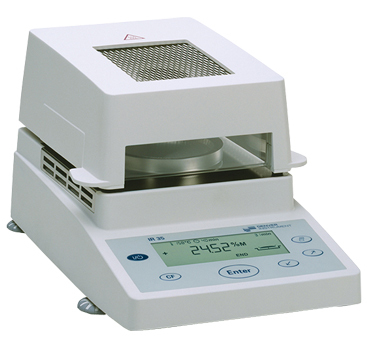 Digital Moisture Tester includes Specimen Tube, Pedestal Cup, Scraper, Air Filter and Regulator unit. Range : 1% to 6%, Least Count 0.1%. Electric Connection : 230 Volts, 50 Hz.